The Mini Vinnies is a St Vincent de Paul group at primary school. The Cheadle Catholic Mini Vinnies, which is open to children in Year 5 and 6, started in April 2012 and meets every Friday lunchtime. Fr John comes to join us. Year 6 children take it in turns to lead the meeting, which focuses on the Gospel for the following Sunday, after which there is some reflection and prayer. We then discuss ideas for helping others in need; there have been various different fundraising activities, including two very successful collections for the Chelwood Foodbank, guess the name of the dog competition and, most recently, selling rosary beads to raise funds for St Charles Lwanga School in Gambia and Francis House. Each Mini Vinnie member makes the following pledge. 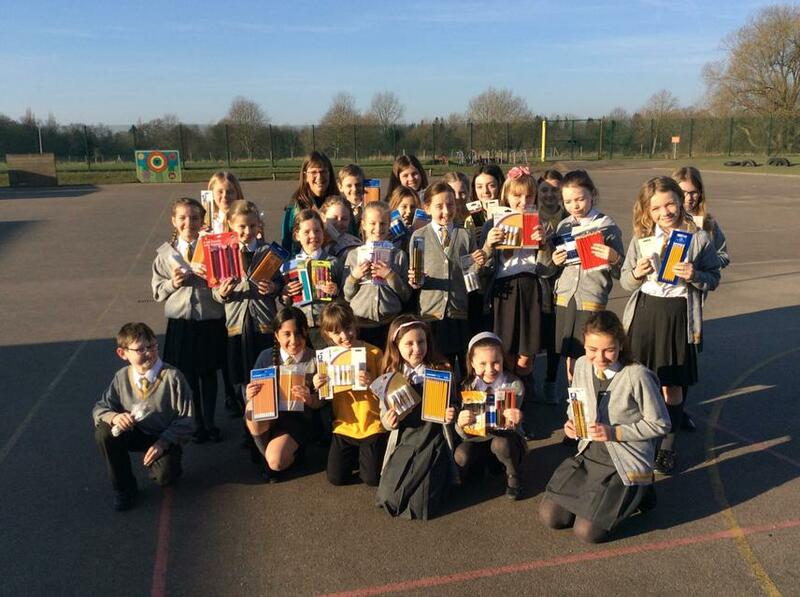 Our fantastic Mini Vinnies have worked tirelessly over the past month, to promote and take collections from the children of brand new pencils, glue sticks and stationary for a school in Africa called African Angels. African Angels is a charity in the Chintsa East, in the Eastern Cape of South Africa. The charity provides a quality primary school education for over 140 disadvantaged children of Xhosa background. The school receives no government backing and as a result relies solely on donations. It is in desperate need for resources such as these. Mrs Burnett (Governor and former member of staff) came into school for a special assembly and has now taken the stationary to South Africa where she is doing voluntary work. We collected over 670 pencils, 90 glue sticks and extra stationary too! Many thanks for all your contributions and especially to our Mini Vinnies who work so hard to promote Mission in our school.